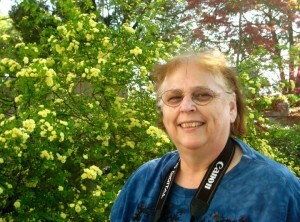 Margo Mills Wayman Fallis died on November 23, 2014, in Atlanta, Georgia, due to complications of cancer. She was 60. Margo was born on February 2, 1954, in Edinburgh, Scotland, to Christina Noble Rutherford Crawford and James Mills. She married Chuck Wayman in 1972, they later divorced. She married Thom Fallis in 2001, moved to Atlanta in 2001 and lived there until her passing. She was a published author and loved to write children’s stories. Margo was a member of the Church of Jesus Christ of Latter-day Saints and had many callings in both the Primary and Young Women’s. She loved to do Family History. Margo loved animals, especially cats. She loved going to the zoo to take pictures. She was a world traveler and visited many different countries. 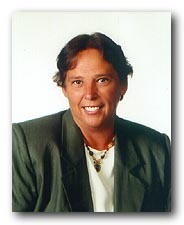 Margo is survived by her daughter and son-in-law, Christina and Brent Carter of Arlington, Texas; her son and daughter-in-law, James and Larissa Wayman of Layton, Utah; Her daughters Heather Wayman and Sarah Wayman both of St George, Utah; her brothers, Jim Mills, Brian Mills, and Crawford Mills; and eight grandchildren. She is preceded in death by her daughter Stephanie Wayman; her sister, Tina; and both of her parents. Rolfin's Orb is a story about three Scottish children who find a book and an orb in an abandoned castle. After studying the book, with help of their uncle, the children travel around the world, using a magic spell, to gather 12 stones to put in the orb and save the world from the evil wizard, Phelan. Come with them on their adventures as they battle monsters, ghosts and goblins. Plumtuggle is a story about a boy, Xander, and his friend, Toast, a plumtuggle. Together they go on a quest to find the most precious and rare thing in the world. They have all sorts of adventures, find diamonds and other gems, but learn that the most precious thing isn't what they think it is. Imagine finding 44 baby dragons. In this story Crispin and Gretel, with help from Marti and a few wizards, are on a quest to return the baby dragons to their homeland. An evil wizard, Darmantha, captures the dragons and it is up to the two children to rescue them and take them back to the island where the last two adult dragons live. They are greeted by all sorts of dangers and through this they grow and learn and discover strengths and courage they never knew they had. Two men, a woman, a goblin and a dwarf are summoned by a wizard to rescue and save a princess, who is dying. With the use of a Healing Stone, a Book of Spells and their own strengths, the five begin their adventure, only to find themselves battling dragons, snow monsters and an evil wolf, who will do anything to stop them from reaching the princess. Recommended age for 10 and over. Ian and Mac, two Scottish raccoons, go on a lot of adventures and find themselves in a lot of mischief as they explore, discover and have fun. The book takes place in Scotland mostly, but the gist of it is that there is a boys school in the Highlands and a few of them are sent on a quest to find 10 objects so that they can go back in time to Atlantis and save Scotland. It's adventurous and fun. Good friends, Fish and Chips, find themselves involved in all sorts of events and happenings on the small island off the coast of Scotland where they live. They meet new friends, try different things and learn what the most important things in life are. Maggie lives with her grandparents in northern Scotland. She's especially close to her grandpa, who takes her for walks and shows her places from her mother's past. They have a lot of fun together as Maggie learns and grows. Malcolm, a mischievous Scotty dog, makes friends easily and loves to have fun. There's nothing he enjoys more though than curling up in front of the fireplace to take a nap. Norton, the donkey, lives near the beach. He spends his days taking children for walks up and down the shore when they come for holidays with their families. The Storyteller is a series of stories about a man named Mungo, who tells great stories to the children in the neighborhood. They come once a week to his house and he's always got a special surprise planned for them. Butterflies Explore Scotland is a set of stories about two butterflies who travel up the east coast of Scotland to the north and then back down the west side. Each story is a different adventure. Cockles and Mussels are two dogs that live on the island of Barra. They play games with each other, argue and hide each other's toys, but no matter what, are best friends. Mouse Tales is a series of stories about a mouse named Duncan and the cat, Kennedy, who is always trying to catch him. Poke, the pig, and Beans, the rooster, have fun together on the farm. The Crawford Family The Crawford Family - Meet Fiona, Alexander and Ethan, along with their mum and dad. You'll find out what it's like to be part of a family as they travel and have other adventures together. This section is full of stories about all things magical; fairies, dragons, witches and more. This section has stories for children 6+. There's a huge variety for you to read to them at bedtime, or for teachers to read to their students. This section has stories that are Chinese-oriented, including crickets, nightingales, festivals and dances. This section has stories that are Hawaiian-oriented, including crickets, nightingales, festivals and dances. Ho-Shing and Yong-Hu are two pandas that live in the mountains of China eating bamboo; however, they find themselves in all sorts of predicaments and fun. Australian children have fun with kangaroos, koalas and all sorts of native animals. Ever wondered what it was like to go on an African safari? These children's stories can take you there with your imagination. Have you ever wanted to go to Egypt, or Jordan and see the pyramids? Read these stories and let your mind wander to the deserts and oasis of the Middle East. These stories are for the older kids and even adults to enjoy. What better way to celebrate the holiday season than to read stories to your kids about polar bears, Christmas monsters and candy canes. All of the stories in this section take place in Scotland. Why not acquaint your little ones with this great country by reading to them. A variety of children's stories all having animals as the main characters. This section is for the very young, those who can't read, or who are just learning to. Imagine hearing Big Ben chime, or standing near Nelson's Monument. Reading these stories will give you a feel for the city. Each poem tells a story and there is a picture to go with each poem. Hopefully you've all had the chance to read the original story of Angus and how he turned Tartan. Now you can read more stories about the funny little goat and the mischief he gets himself into. The Monkey King's Daughter® isn't about Sun Wukong, the Monkey King - it's about his daughter, Meilin. Only, Meilin doesn't know she's the Monkey King's daughter. In fact, she doesn't know she's half-monkey at all. As far as Meilin knows, she's an ordinary 14 year-old high school freshman from Midland Hills, California, facing all the problems that bright young girls face at that age- flakey girlfriends, zits, too much homework, bad hair, obnoxious boys... But all of that changes when her ancient past catches up with her. (And she thought high school was gonna be easy...) The Monkey King's Daughter (Book One) is a new series of novels that introduces a totally fresh and exciting action/adventure hero to 8-13 year old readers.